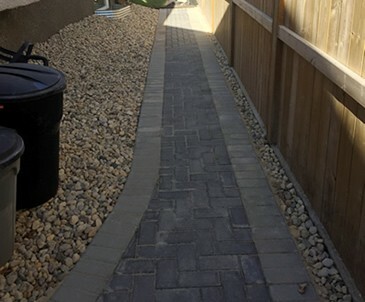 There are so many different Sidewalks or walking paths. 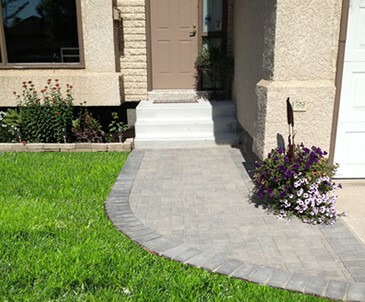 Example A small sidewalk from front step to city sidewalk is badly cracking concrete and an eyesore. 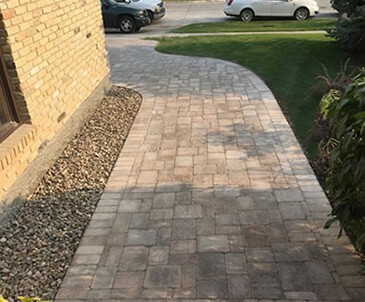 We can pour it for you however, we specialize in installing concrete slabs, interlocking stone sidewalks, or paver sidewalks. 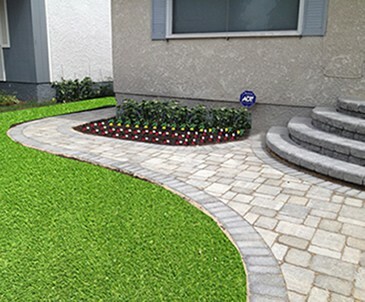 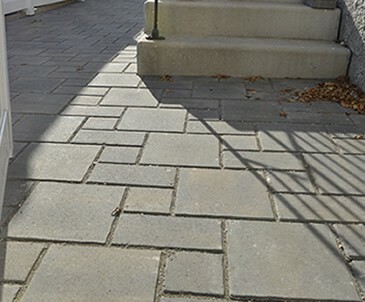 Diamond Slabs are more common in new build areas where they get used as temporary slabs but can be used as residential sidewalk if you don’t’ want the pavers or Interlocking stone. 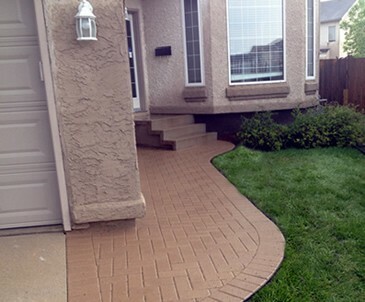 You want to spice up your sidewalk, put a curve into it, perhaps even move it completely – lets do it! 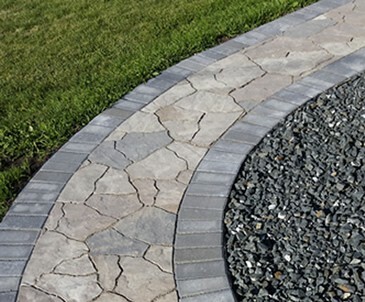 Interlocking stone sidewalks made from these pavers will give your house character, add style and will make you proud to come home. 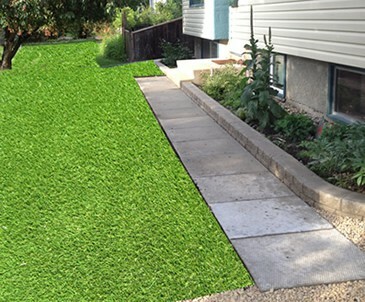 Your neighbors will envy you! 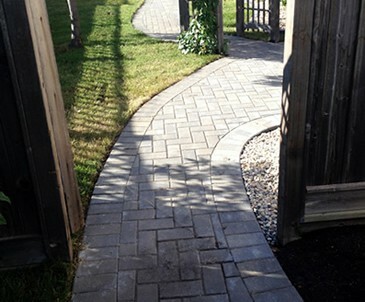 Sidewalk design and installation by R.EN Landscaping. 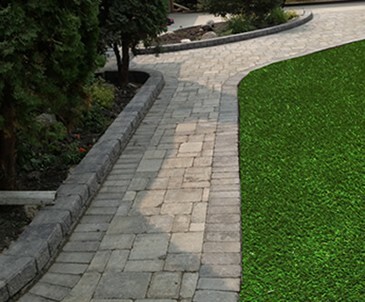 At R. EN Landscaping "We Just Do It"